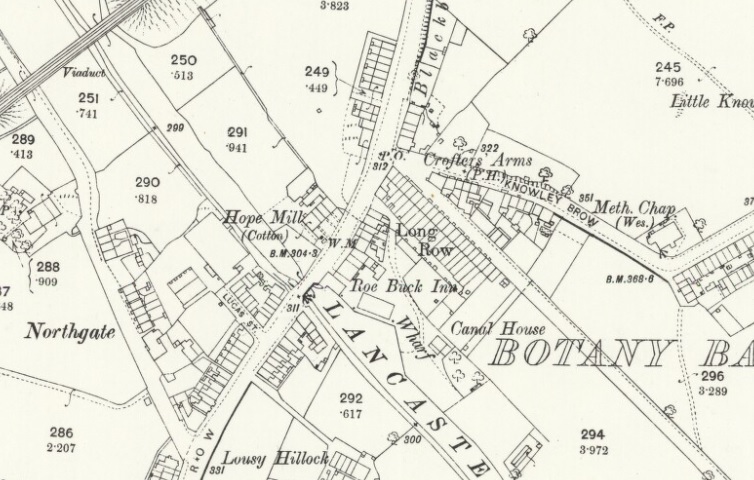 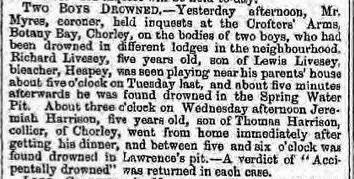 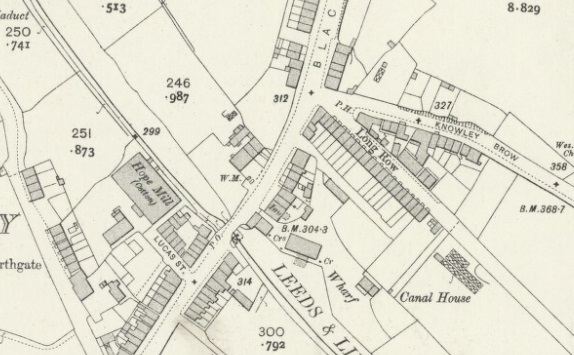 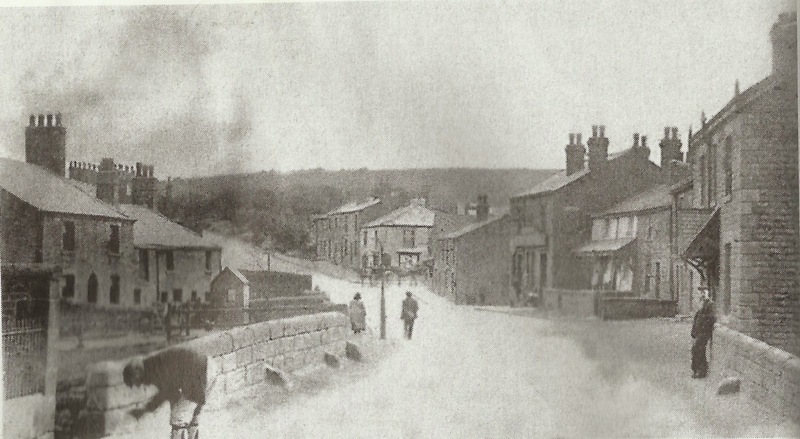 The Crofters Arms (or Jolly Crofters) was situated on at the bottom of Knowley Brow at the junction with Bagganley Lane, Chorley on some census records being recorded as No.1 Bagganley Lane, on others, No.2 Knowley Brow. On the above picture taken from the bottom of Botany Brow looking past the Roebuck (right) and Railway aka Lock & Quay (left) c.1900 you can see horses entering Botany Bay out of Knowley Brow and the Crofters Arms was out of view to the right of the junction. 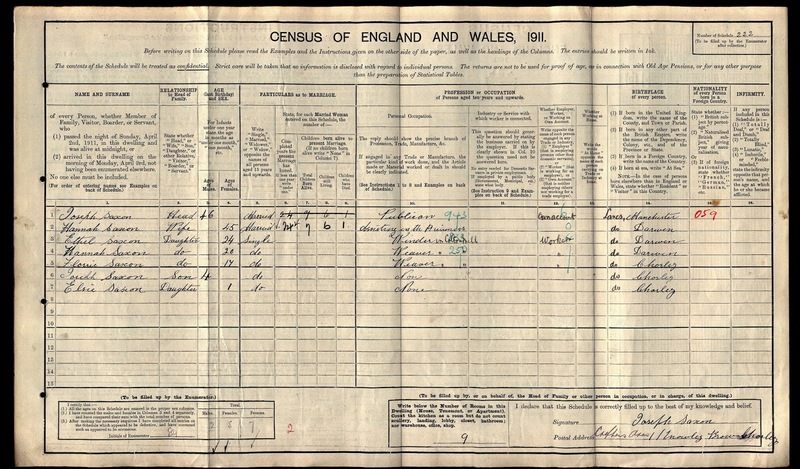 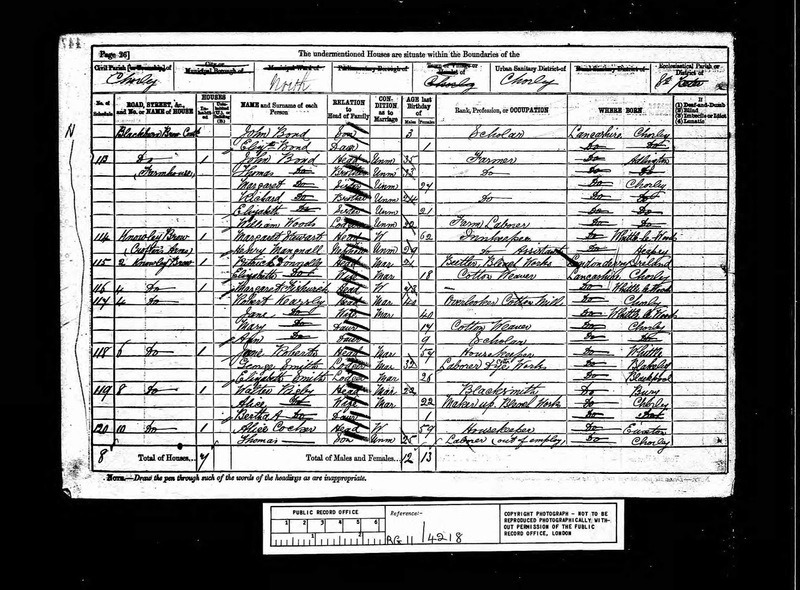 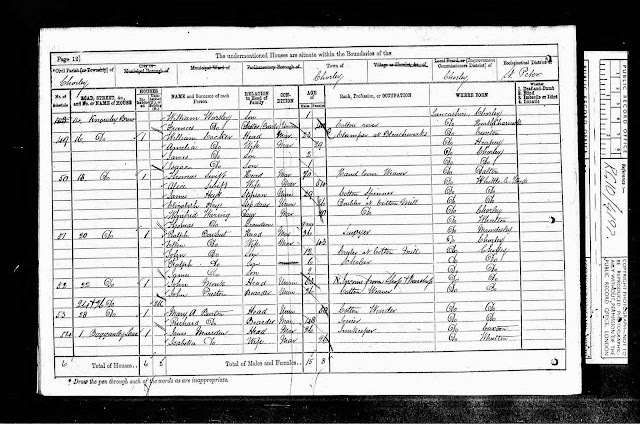 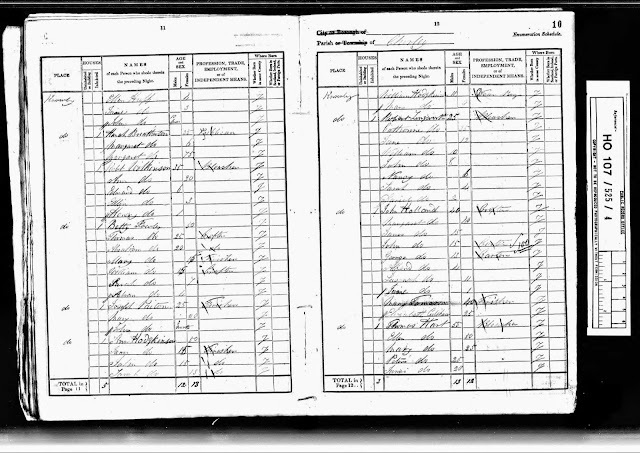 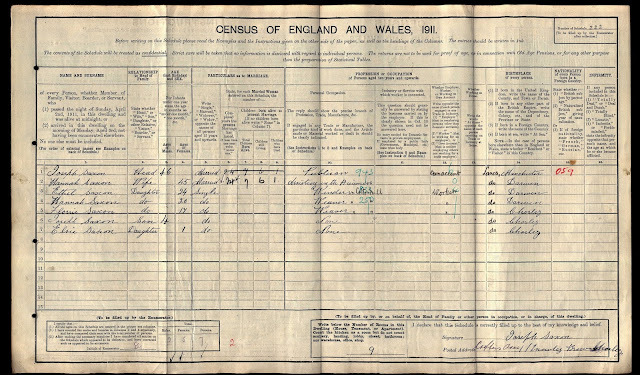 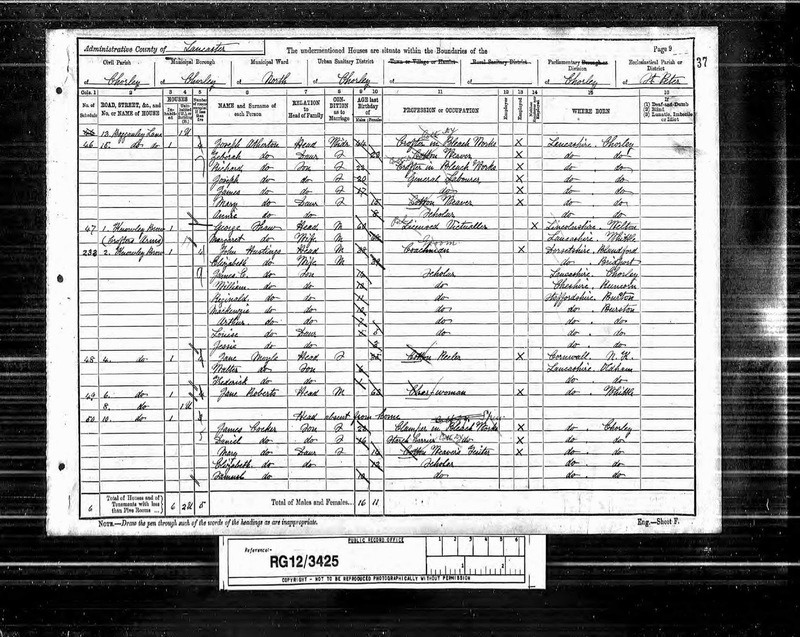 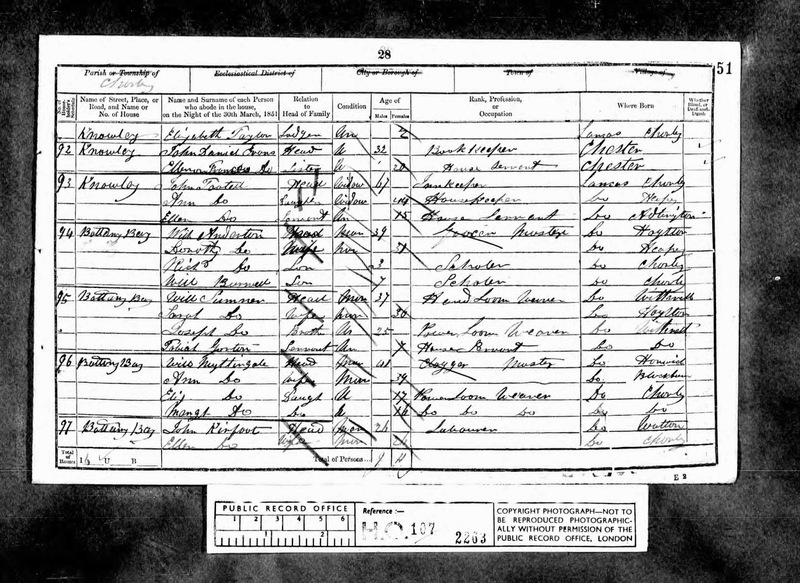 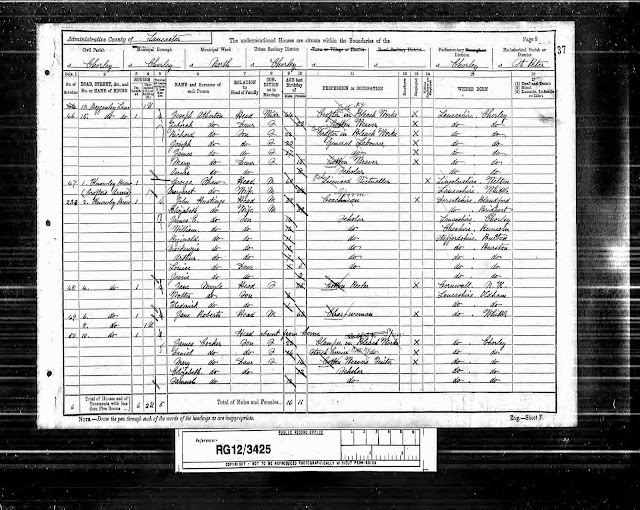 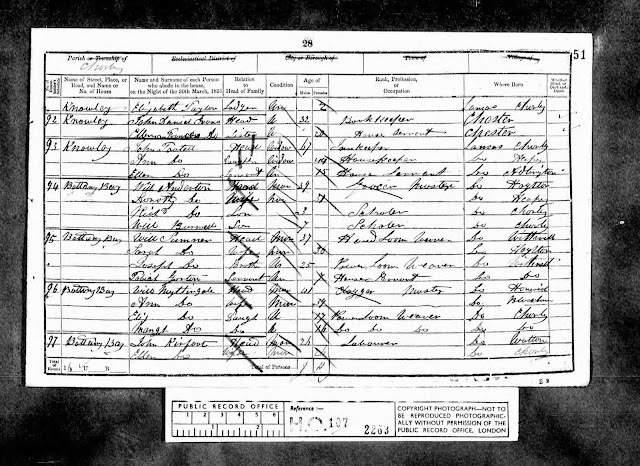 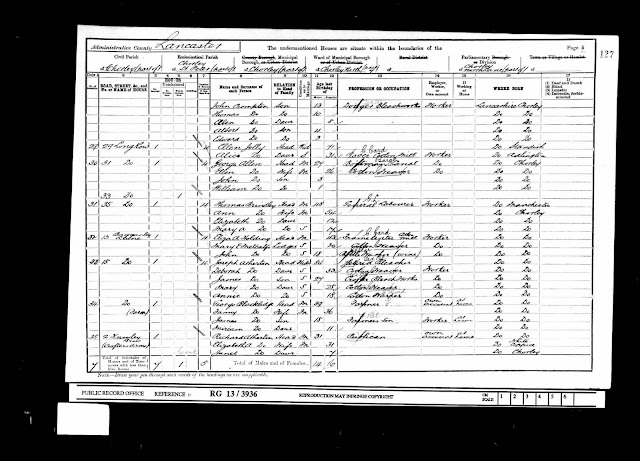 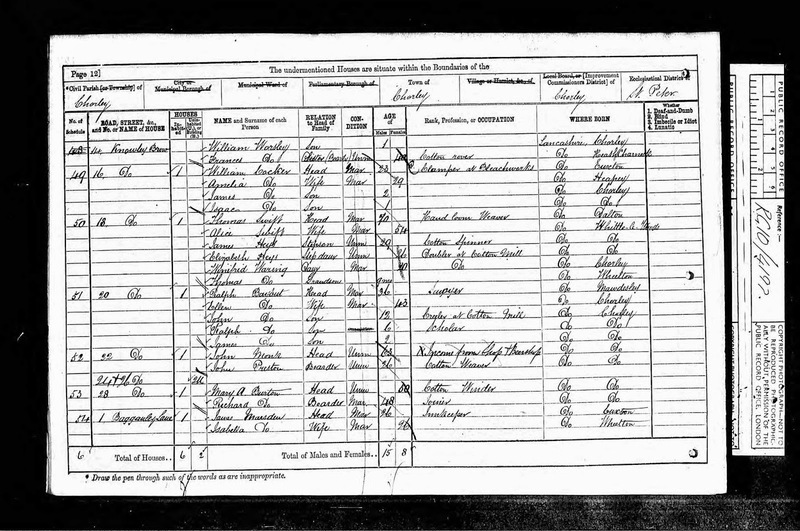 Census records date the pub back to at least 1824 with the landlords listed as Margaret Bretherton (1824), Hannah Bretherton (1841), John Tootell (1851), Ann Jolly (1861), James Marsden (1871), Margaret Stewart (1874-82), George Shaw (1889-1901), Richard Atherton (1901) and Joseph Saxon (1911). 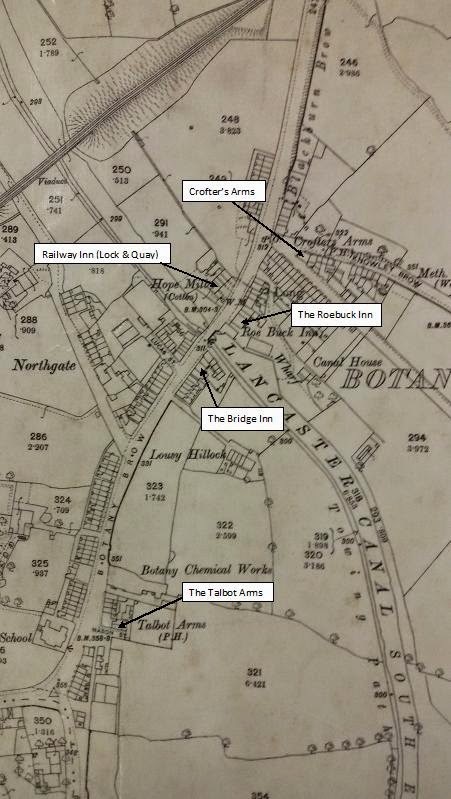 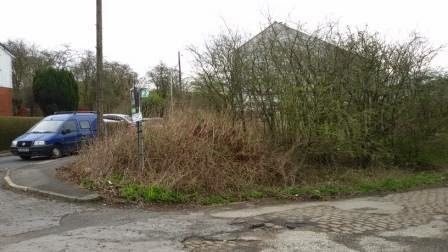 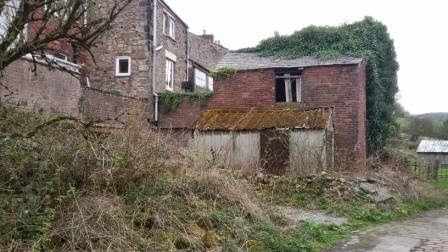 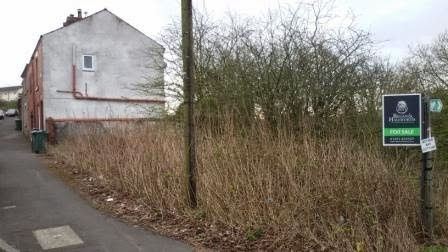 The below pictures taken in 2015 show the site of the Crofters' Arms today. 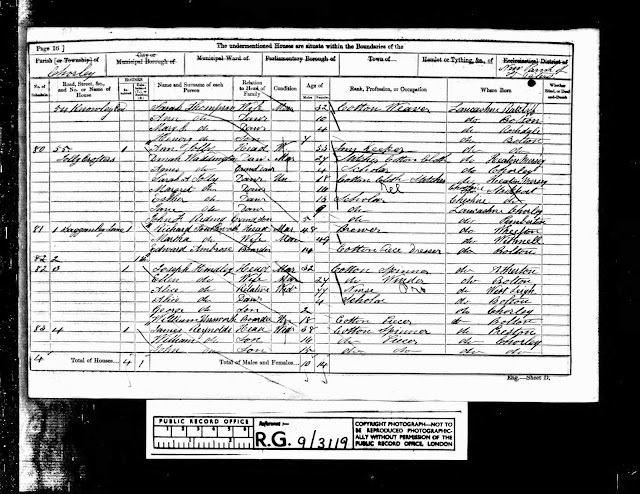 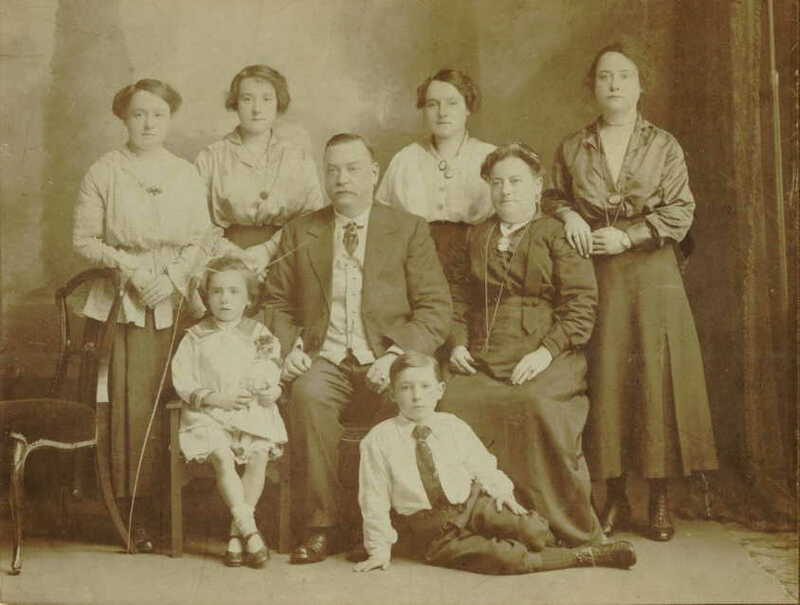 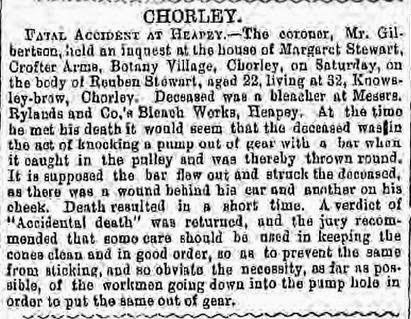 I found this very interesting as Hannah Saxon who was running the Crofters Arms with her husband, Joseph, in 1911, was my great great grandfather's sister. 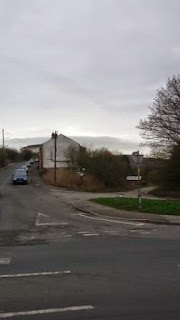 I'm really pleased the blog has been of use to you.